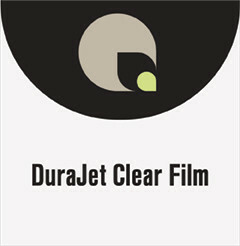 Super clear polyester film that is print treated on both sides to promote ink adhesion. Print on the front, back or both sides. This product produces vibrant colors with UV Curable inks. It is dimensionally stable and can withstand heat from prolonged backlit exposure. Excellent for indoor or outdoor lightbox signage, window displays, and other illuminated applications.